Anti-immigration ideals makes up a significant part of the 74-page manifesto linked to the man charged in the deadly mass shooting attack on two mosques in Christchurch, New Zealand. Brenton Tarrant, a 28-year-old man from Australia, has been charged with murder in the shootings. But while immigration has certainly been an issue in New Zealand, bias against Muslim immigration hasn’t been as vocal as in Europe. “We are so far away from the Muslim world that then it’s very rare that people express in any formal sense that we’re taking too many Muslim people,” said Murdoch Stephens, a researcher who spearheaded a campaign to double the refugee quota in New Zealand. It has not been the hot-button issue that it has in parts of Europe, which took in more than a million refugees during the 2015 migrant crisis, a move that sparked a lot of anti-immigrant attitudes. The Muslim population in New Zealand is small but growing. According to the 2013 census, which has the most recent figures, the number of people affiliating with the Muslim religion increased 27.9 per cent from 2006, from 36,072 people to 46,149. New Zealand has a population of over four million, meaning Muslims make up little over one per cent of the population. Christchurch has attracted right-wing extremism and there have been instances of low-level white wing extremism for quite a while, said Douglas Pratt a professor of religious studies at The University of Aukland. Still, the issue of Muslim immigration has flared up. In 2005 the former New Zealand prime minister Bill English, then an MP for the National Party, described Middle Eastern asylum seekers as “leftovers” who should be blocked from entering the country. “We need migrants, but we don’t need leftovers from Middle East terrorist regimes,” he said in a newsletter. In 2013, Richard Prosser, an MP of New Zealand First, a nationalist anti-immigration party, made headlines when he said young Muslim men should be banned from air travel. Meanwhile, in the 2017 election, immigration in general was a big issue, said Stephens. Under the National government, immigration had climbed up to record levels of more than 70,000 a year. But opposition to immigration was largely focused on Chinese and Indian immigrants buying property as New Zealand suffered through a housing crisis, Stephens said. Prime Minister Jacinda Ardern had run on a policy of reducing immigration. She had pledged to cut annual immigration by up to 30,000 during her three-year term, in part to ease the housing crisis. But she rejected comparisons to U.S. President Donald Trump and his immigration policies, and pledged to raise the refugee quota from 1,000 to 1,500 by 2020. 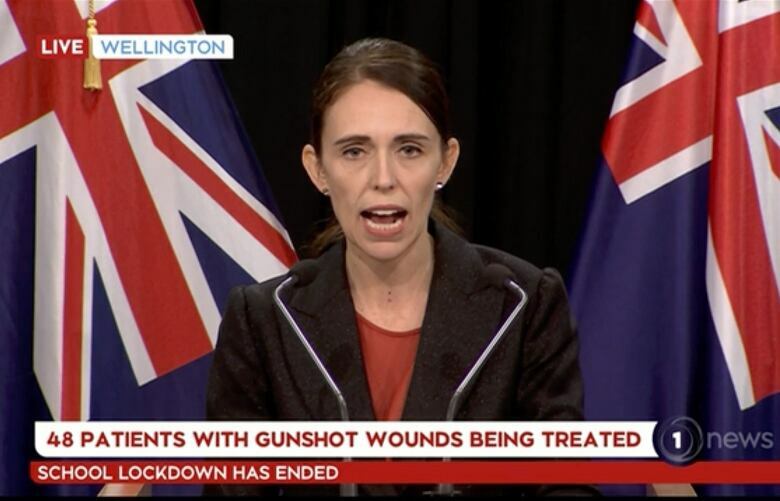 Some have suggested, however, her crackdown on immigration may be due to having to enter into a coalition with New Zealand First, which received about seven per cent of the vote in the 2017 election and held the balance of power. The party is led by Winston Peters, who has appeared to moderate his views, at least in practical terms. Indeed he angered many supporters when he supported the United Nations pact on migration, a non-binding global pact to better handle migrant flows. It was this pact that the suspect is alleged to have made reference to, writing “Here’s your migration compact” on one of his ammunition clips. 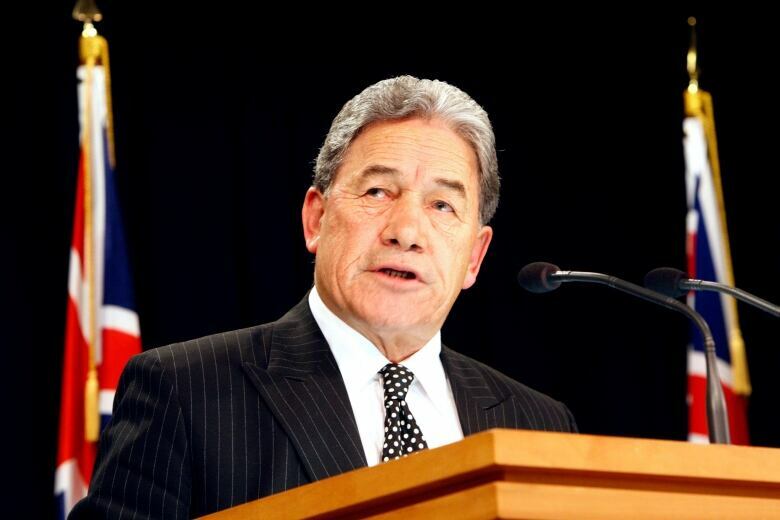 Peters criticized the National Party and its leader for not supporting the pact. National Leader Simon Bridges had suggested the pact was an intrusion into a country’s sovereignty and could affect its ability to set its own migration policies. Stephens suggested those kinds of comments, while factually incorrect, are also the subtle ways in which politicians may take aim at certain migrants.